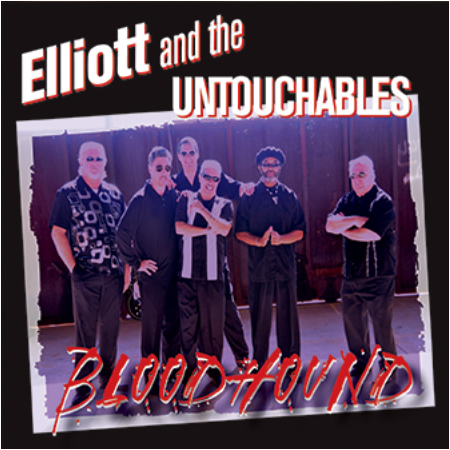 From the first note to the last note, Elliott and the Untouchables deliver deep blues drenched with raw emotion. From gritty Chicago boogie to swampy Delta blues to Texas shuffles to West Coast jumpin' blues. Every aspect of the blues. The Untouchables serve up thick guitar tones, a smokin’ horn section, and sizzlin' keys on top of a red-hot rhythm section. Powerful music soaked with energy and soul. The band has taken their high-energy show to clubs and festivals across the US including the House of Blues, Indiana's Bean Blossom Blues Festival, The Cape Fear Blues Festival, The Charleston Blues Bash, Asheville NC's Bele Chere Festival, the 3 Rivers Music Festival in Columbia, SC, and on Memphis' Beale Street at the Crossroads Music Festival. The Untouchables traveled to Ireland, opening for music legend Van Morrison at the Monaghan Rhythm & Blues Festival and performed at the Blackstairs Blues Festival in Enniscorthy. Other international appearances include return engagements at the Tremblant International Blues Festival in Quebec, Canada. The band has released five CD's on BluePoint Records. Their last release, "Bloodhound" has received great reviews, airplay, and international acclaim including a nomination as Best Self-Produced CD in the International Blues Challenge. Previous releases, "Voodoo Stew", "Smokin' the Blues", "Both Ends Burnin'", "Danger Zone", and "Last Meal" have been top sellers for the BluePoint label. "Bandleader Elliott New is a pleasure to listen to... the horns are super-fine. These guys aren't messing around." "One of the finest, most powerful and skilled bands I have heard in a long time." "Elliott and the Untouchables breeze in like a breath of fresh air. Sure of touch and swinging like mad, Elliott New's hollow-body Gibson will have you jiving around the furniture."